The Staveley Museum is located in the old relocated school building of Springburn. 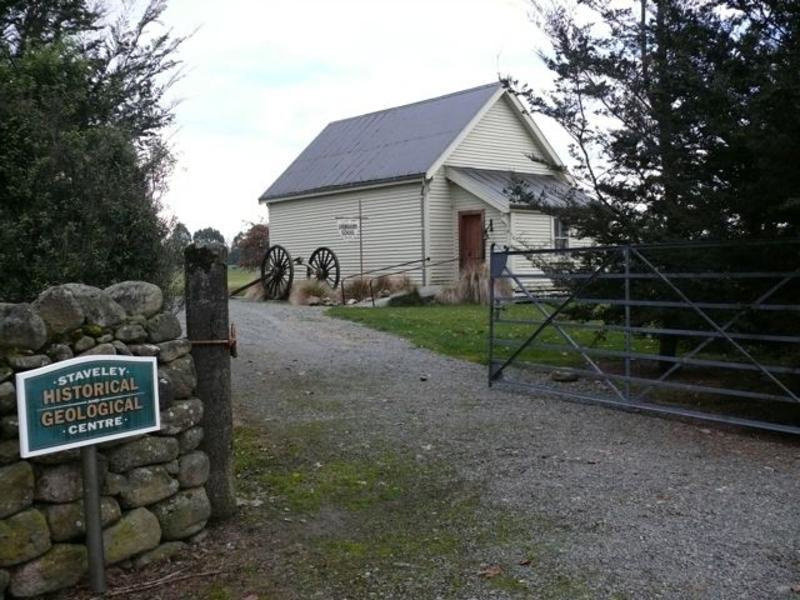 Here, the display of artifacts from in and around the Foothills district of Mid Canterbury, reflect the history of a small yet vibrant community’s life including timber milling, coal mining, limestone quarrying, farming, transport, education and everyday life. A vast comprehensive collection of photographs depicting the old homesteads and families who have long established ties to the area of Staveley and the Foothills are on exhibit. There is also an extensive geological display of the unique geology of Mount Somers and its environs. Parking is available close to the Museum. The access to the Museum is wheelchair friendly. Open most Sunday afternoons from 1-3 p.m. during the Spring and Summer months.